Omie Tillet, a legend and pioneer in custom Carolina boat building, constructed one-of-a-kind sportfish boats throughout the 1970s for both charter captains and private owners. He would fish the summer and build boats in the winter out of his Manteo-based operation named Sportsman Boat Works. 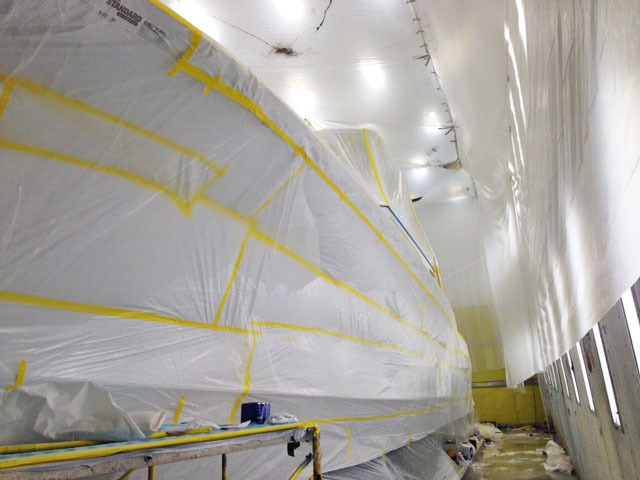 Unfortunately for this visionary builder – who’s construction techniques and styling would give rise to a highly sought after class of boats – Omie found that he was allergic to the epoxy used in boat building. The symptoms got to be too much, so Omie sold Sportsman Boat Works as he was completing the Mary One. After nearly 4 decades of slaying the nastiest offshore conditions that mother nature can dish up, Omie’s last build – now named Coverage– is still a fish-raiser and a beautiful boat to behold. 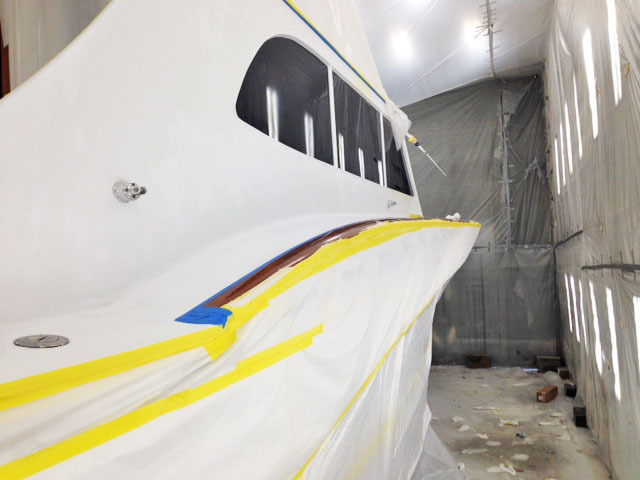 Jarrett Bay is excited to have Omie’s boat construction DNA aboard the 61′ Coverage in our service bay for a minor refit, which includes fresh Alexseal Cloud White from the water line up, and will feature a two-color boot stripe: Sunfast Red and Navy Blue. Other update items of interest include removal of the original tubular handrail that runs down each side of the cabin, which has been replaced with an incorporated grab-rail in the top edge of the cabin, along with upgraded latches on the bridge cabinets and a new battery charging system. Omie played a pivotal role in the beginnings of Jarrett Bay Boatworks by sharing a wealth of knowledge on Carolina boat building with Randy Ramsey as he led the construction of Hull #1 Sensation in 1986. It is an honor to have Coverage at our service yard, and we hope to bring you more photos and details as this project progresses.